For most businesses, their “Service” pages don’t even appear anywhere near the top of Google. How sad? They’re lucky to be ranking their homepage and blog posts in the search results. But it doesn’t have to be this way. Your ‘service’ pages sometimes referred to as a ‘money’ page is an opportunity to list your expertise and explain the strategies you use. Don’t just pay attention to your homepage but also the ‘service’ page. Search engine optimization (SEO) is very important for online marketers, that’s no secret. By optimizing your service page, you increase the chances of generating more leads from search engines results pages (SERPs). 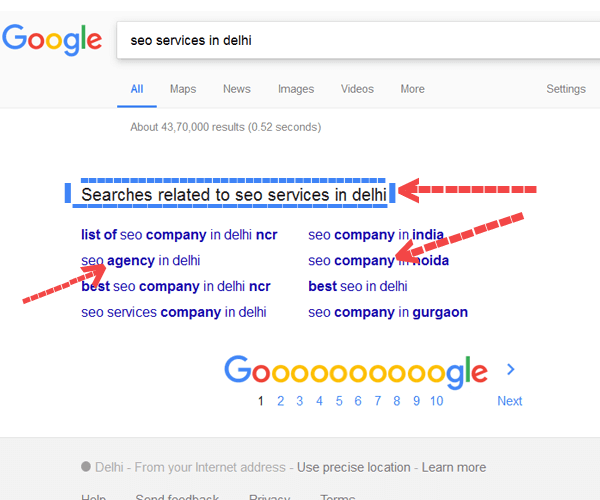 You could improve your performance in the SERPs if you make your service pages sticky, helpful, and relevant to your ideal customers. They’ll spend more time on the page, and in turn, this increases your organic visibility. Content powers the web. Whether it’s the homepage, products pages, or service pages, valuable content is what brings people to websites when they conduct a search online. 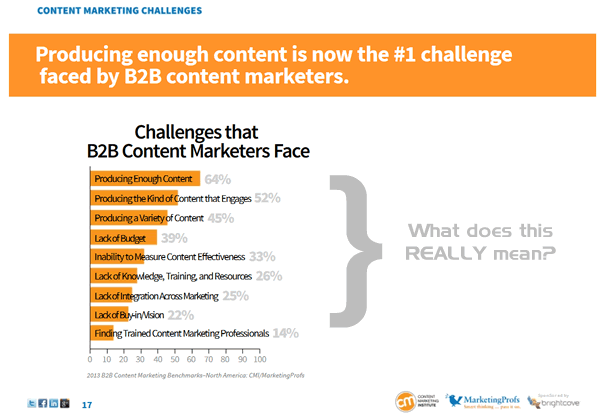 Apart from producing enough content that engages the customer, another challenge that 45% of B2B companies face is producing a variety of content. It is important to create different content formats such as blog posts, videos, slide presentations, ebooks, audiobooks, etc. Of course, the search engines must associate the keywords and determine what the page is about, but the content must be relevant and helpful to the reader. Make sure that the content on your service pages is 100% original. You’d find it really hard to compete against similar pages in the organic listings if your content is similar to another. All the content elements such as text, image, video, presentation, commentary, and even data should be unique. You could use ideas from other websites but don’t copy it outright. Ideally, your service pages MUST be compelling and trustworthy. A copywriter can help you to craft persuasive copy for your service pages. The title tag and meta description are two important elements you should pay close attention to. The title tag and meta description are the first elements in the search results pages. These help determine whether or not the searcher will click-through to your service page. Your service pages should have a unique title tag and meta description to help search engine crawlers and your potential customers, understand what the page is about. i). Include your target keyword in your service page: Make sure that the keyword flows naturally into the title and meta description. If possible, put the keyword at the beginning of the title. ii). Keep them short and catchy: Both the title tag and meta description of your service pages should be short. To avoid being truncated in Google’s search results pages, your title tag must not exceed 60 characters. You want to create service pages that match the intent of the query a potential customer would use. You need to focus on ‘naturally’ using keywords on the service pages that potential customers would use in their queries. If you don’t write about it you won’t rank for it. But don’t get me wrong. I’m not saying you have to use it multiple times on the page. That could be considered spammy and affect your search rankings negatively. Worse, it could get you penalized by Google. Use the synonyms or LSI terms of your main keyword. If your main keyword is SEO expert, for example, instead of stuffing it into every sentence on that page, you can use its variations such as search engine optimization expert, search marketing expert, search engine marketer, SEO marketer, digital marketing expert, etc. See how Medallia, a customer feedback management firm use closely-related search terms to write persuasive copy for their service pages. That’s why you should conduct keyword research to help you determine which search terms people are using when searching for your services. You can use Ubersuggest, KeywordTool.io, SEMRush, or Ahrefs — these tools can help you to find the best keywords for your pages. To make your service pages easier to read, make sure that you format the content. All the elements must be well-positioned on the page and allow plenty of white spaces. More importantly, if you offer multiple services on the same website or your solutions are unique for CEOs, Marketing team, Customer support, etc, you can divide your content into blocks or categories. Consider a table of contents with a main title and subtitles. The service pages must have only one H1 tag. To split your content into chapters, use subtitles and format them using the heading tags (H2, H3, H4…). Make sure and use your keywords in the subtitles. If you have separate pages dedicated to each service make sure and link to them using the appropriate keyword. For example, if your service page lists “Content Marketing” as a service then use that to link to the page not generic phrases such as “Learn More”. If your service pages are well-structured and the navigation is clear it will make help your visitors find what they are looking for and more likely to convert. A picture is worth a 1,000 words! Images enhance reading by making your pages easier on the eyes and easier to understand when done correctly. Avoid writing in chunky blocks of text. Allow your readers some breathing space. The ‘Service’ pages content should not only contain text, but also images that support your statements or provide additional information. When crawling, most search engines do not recognize the images themselves. They search for the ALT text of the image. Since search engines can’t capture the contents of images, use the ALT text to “describe” your images. When your image is optimized for both users and the search engines, you can increase traffic to your website by having your images show in places such as Google Images. An ALT text also improves the user experience by displaying the text in place of an image if it can not be found or loaded properly. This also improves accessibility for people with poorer eyesight using screen readers. 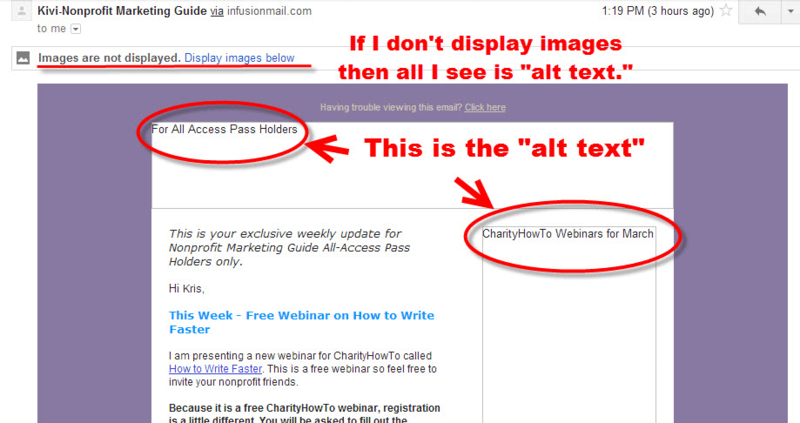 From the technical side, the ALT text is an HTML attribute added to image tags. You can also add the target keyword to your ALT text, but don’t depend on this to greatly improve how it ranks. Don’t stuff these for the sake of ranks. Use it to improve your visitors’ user experience. External links are powerful signals in Google’s ranking algorithm. 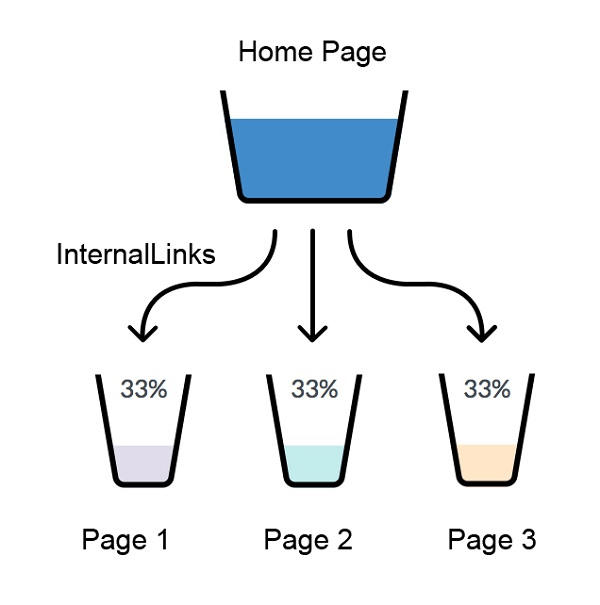 Internal links help search engine crawlers navigate your site, understand your site structure and spread link equity. If you link to an internal page that’s related to the topic and visitors find it relative to the information they are looking for they may stay longer, which is a positive sign for search engines. But internal (and external) links are also useful to help search engines explore your website and discover your content quicker. Backlinks (i.e., inbound links or incoming links) to your content are considered by search engines as a proof of the validity and relevance of your page. It’s the same with internal links to other pages on your own website. If you refer to a topic in one of your posts that you have previously written about and you think your readers would find it beneficial to the current topic, you should link to it. 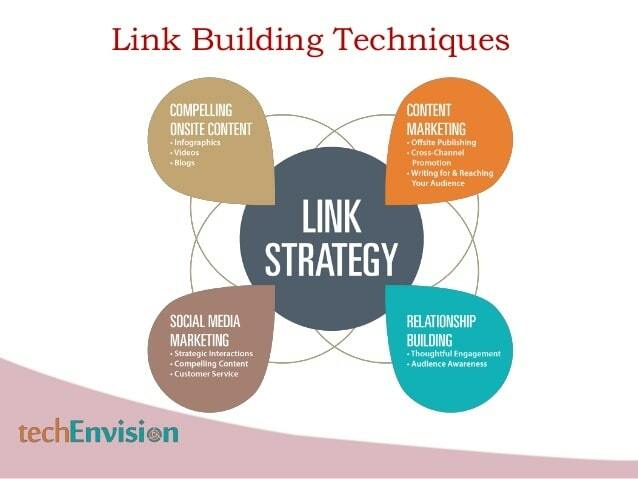 Link building is one aspect of SEO that businesses and marketers often ignore. Most website owners pretend as though they don’t want backlinks, yet, they know that inbound links are one of the core ranking factors in Google’s algorithm. Without trusted links pointing to your service page, you probably won’t rank very high in Google. 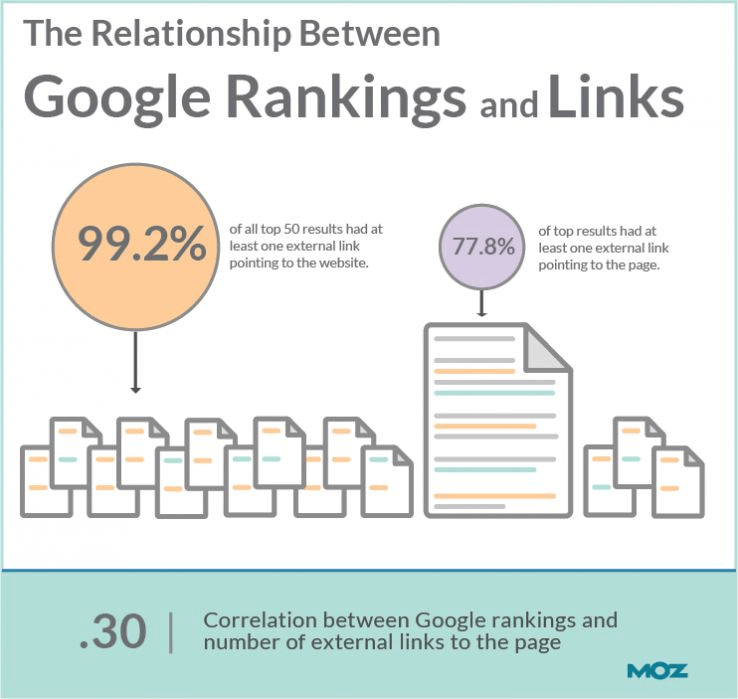 Because according to a study by Moz, 99.2% of all 50 top results analyzed had at least one external link. If you want your service pages to rank in Google top 10 for competitive keywords, or any keyword you have in mind, get started with link building. And there’s no shortcut. There are several strategies you can use that work. Guest blogging, in addition to all of these techniques, can be done relatively cheap if you do most of the work yourself. But they’re time-consuming. When other websites in the same industry link back to you, you automatically improve the credibility of your content. Since it’s good for visitors, it’s good for search engine spiders as well. In addition, Google uses these inbound links that point to your website to better understand the subject matter of your content. Keep in mind that one of the primary goals of SEO is to satisfy and guide your users as they browse your company’s website — which includes your service pages as well. To achieve better results in the SERPs with your online marketing efforts, make sure that your website is well-optimized internally before you start building inbound links. At the end of the day, your service pages must be useful, interesting, easy to read, and relevant to a specific audience. Not everyone is going to benefit from ‘that’ page.